Acquiring access to threat intelligence services is a relatively easy way to improve the quality of attack detection throughout the network security infrastructure of your enterprise. A threat intelligence service identifies the IP addresses, hostnames, URLs, or other characteristics of the threats associated with attacks. It then standardizes the data, which is fed to a SIEM, threat detection and other network security system (or cloud-based offering) to detect potential sources of attacks. 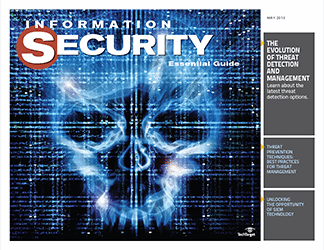 As long as the network security infrastructure supports the feeds and has sufficient processing power to use and apply them, organizations can see a significant reduction in incidents and damage simply by adding threat intelligence feeds and enforcing policies related to the information provided by these feeds. 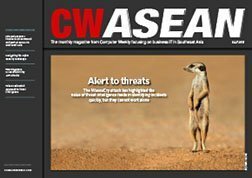 While there is no sure-fire way to detect and prevent advanced attacks, enterprises both large and small should explore whether threat intelligence services can give them a badly needed boost. 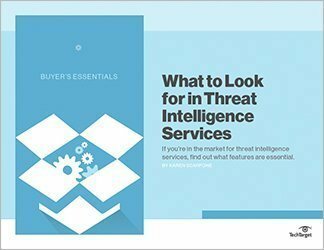 This Buyer’s Essential guide explains what you need to know if you’re in the market for a threat intelligence service. 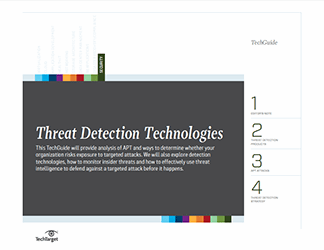 It outlines the must-have features, like a threat intelligence score, and also explains what you need to do to ensure you benefit as much as possible from the adding a threat intelligence feed to your security system.